Unity Fiji party leader Savenaca Narube. Savenaca Narube is the leader of the Unity Fiji Party. He is a former Governor of the Reserve Bank of Fiji and Permanent Secretary for Finance. The views and opinions expressed in the article are those of Savenaca Narube and not of the Fiji Sun. To answer these important questions, it is essential that we understand what motivated the establishment of Unity Fiji. The founders of Unity Fiji are Adi Sivia Qoro, a former Minister for Trade and Commerce in the Labour Government that was overthrown in 2000; Kaliopate Tavola, a former Minister for Foreign Affairs in the SDL Government; and Savenaca Narube, the former Governor of the Reserve Bank of Fiji and Permanent Secretary for Finance. 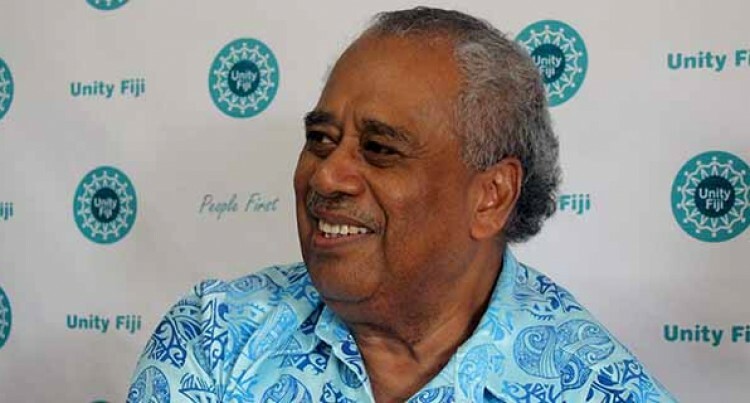 The decision by the founders of Unity Fiji to form another party was taken after careful analysis and evaluation of the political dynamics and development during the last three years. It was not a decision taken lightly nor quickly as establishing a new party is not easy nor cheap. For instance, we had to submit 5000 signatures from across the country with our application to be registered. We were thankful to get 10,000 signatures in a relatively short time. While these signatures may not necessarily translate to votes, they indicated to us the possible support that we could get from the people. We analysed very closely the shift in voter support of the three parties that are now in Parliament captured in the Tebbutt Polls that are taken from time to time. We understand the statistical weaknesses of these surveys. But we take some comfort that they are independent, and we found their methodologies to be statistically robust. We understand that the results of surveys jump around a lot as they are influenced by the halo effects of recent events. We recognise, however, that the best use of these polls is to track their trend very closely. We noted that, according to the Tebbutt Polls, the support of all the three parties in Parliament had declined from the percentage of the votes that they got in the 2014 election. One would expect that the decline in the support of one party would result in the increase in others. But this is not happening. The support of all parties was declining at the same time. The results of the polls meant that these undecided voters may not wish to vote for the same party that they voted for in the 2014 election. This is where the analysis becomes very interesting. These large numbers of voters have decided not to commit their votes to an existing party in Parliament yet. Instead, they have chosen to wait and see. The number of undecided voters in the last two years has remained very high at over 40 per cent (includes those that refused to answer the poll questions). This translates to 250,000 voters that are already on the move. This is a potentially large swing that is more than enough to change a government. The number of undecided voters exceeds the support to any single party that is now in Parliament. This information is revealing. It signified to us that that the voters may not be satisfied with the existing parties. It is obvious that the party that these undecided voters will vote for will win the coming elections. Obviously, all existing political parties intend to compete for these undecided voters. But this is where the analysis becomes very interesting. These undecided voters already know the existing parties that are in Parliament, yet they chose to remain undecided. This is the most critical fact that tilted the balance for the founders of Unity Fiji to form a new party rather than join an existing one. This information confirmed our own consultations that the people need another choice in the 2018 election. While there are many possible reasons, a very plausible one is that they want something new. Unity Fiji believes that the undecided voters are waiting for a new movement – one that ushers in a new political leadership; one that brings us together rather than divide us; one that can manage our financial position and our economy prudently; and one that can find innovative solutions to many of our old problems. We believe that Unity Fiji has the necessary attributes to be the vehicle of these changes. Our multiracial, moderate, and progressive platform will broaden our voter base which is essential to winning the elections in the context of a single national constituency. We have the leadership that have proven themselves in the services to our country especially in the critical areas of economic and financial management. Those that are saying that Unity Fiji will split the votes are referring to the results of the last elections. There has been three years since the last elections. People are already changing their minds. Many now know that their votes in 2014 were based on unfulfilled promises. In conclusion, Unity Fiji will not split the votes. They are already split. Unity Fiji will not weaken the opposition. FijiFijiNewsFijiSunReserve Bank of FijiSavenaca NarubeUnity Fiji Party.